What is a Photography Workflow? Home » Photography Tutorials » What is a Photography Workflow? If you have been reading articles on photography and post-processing, especially from a professional photographer, you have probably stumbled upon the word “workflow” and wondered what it meant. In this article, I will explain what a workflow is and what it is comprised of in the world of digital photography. Please note that the workflow process can vary greatly from one photographer to another, because of too many variables involved and because there is no established, standard workflow that applies to everyone. Therefore, information that I provide in this article should only be used as a reference point to get an understanding of how workflows work in general. It will be totally up to you to establish your own digital photography workflow and you should ultimately design the process that works best for your needs. 1) What is a Workflow in Digital Photography? Let’s go through these one at a time. The workflow process starts with your camera, so your camera settings and how you take pictures will definitely impact your workflow process. For example, if you take pictures in RAW format, your workflow process will be a little more complicated than if you were to shoot in JPEG. Why? Because RAW images require you to process them before they become usable for print or publishing. 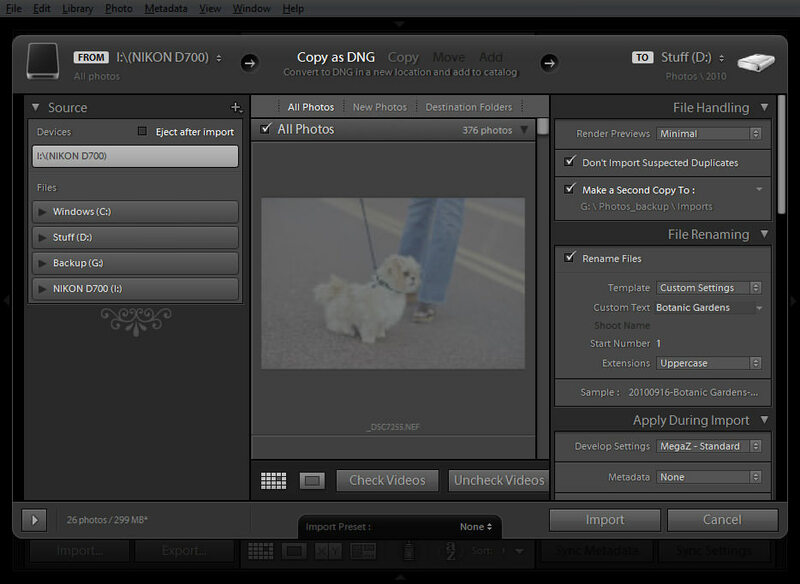 RAW files also take up a lot of space, which will certainly slow down your import, export and backup processes. If you shoot in JPEG format, you need to decide what color profile to use, what compression and image size to use, what white balance settings to use and more. Both have their advantages and disadvantages (see my JPEG vs RAW article), but you will have to decide what works best for you. In addition, if you decide to shoot HDR or panoramas, you will have to shoot in brackets/sequences, which will add another step in your workflow process to process HDR images or stitch panoramas. 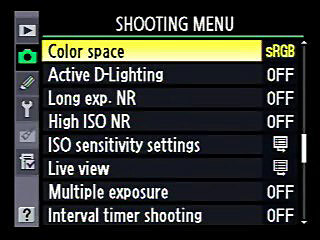 Therefore, you should decide in advance what settings you want to use in your camera and how you want to capture images. There are many ways to transfer images to your computer. The first part is physically connecting your SD/CompactFlash card to your computer, which you can do with a card reader or by connecting your camera with a USB cable. The second part is the actual process of copying files from your card/camera to your computer. This is where you have many different options to do this. You could use your operating system to copy the files to a particular folder on your machine, or you could use software like Adobe Bridge, Lightroom or Aperture to handle this process. I personally prefer to use the latter method for importing my images. I heavily rely on Adobe Photoshop Lightroom for transferring images and this application has simplified my workflow significantly, because many of the steps described in this article are now done within this single software package. This step depends on how you handle the process of transferring images to your computer, because some software will do both in one step. For example, if you use Adobe Photoshop Lightroom or Apple Aperture, these programs will both copy images to your computer and import them into into a photo catalog at the same time, saving you a step. The nice thing about using such software, is that you can customize/fine-tune the import process and tag images with certain keywords / metadata and even push some image-processing presets to each image upon import, which will save you even more time in your workflow. Check out our detailed guide on how to import images in Lightroom, where we show how to properly manage this process. Once your images are on your computer, you need to decide how you want to organize and sort them, so that they don’t end up scattered all over your hard drive. I wrote an article on how to organize your photos, so take a look at it, if you have not consolidated your photos into one folder yet. If you use Adobe Photoshop Lightroom or Aperture, you have many more options to keep your photographs organized. You can do everything from adding keywords to such things as ranking your favorite images with stars, labeling images with colors, creating custom image groups and much more. 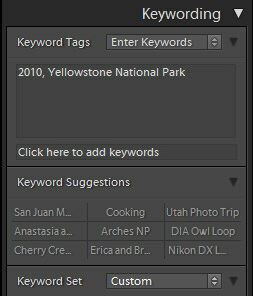 The nice thing about using Lightroom and Aperture, is that all image information is stored in a database, which makes the process of locating specific images very easy. If you are looking for a good way to organize your photos in Lightroom, take a look at my “how to organize photos in Lightroom” article. This is also a good time to quickly review your images, identify the ones that are bad/blurry/out of focus and get rid of them. Let’s now move on to the next step – post-processing images. Now that you have organized your photographs on your computer and within your favorite photo application, it is a good time to sit through and work on your images. You might wonder if this step is necessary if your picture is already good right out of the camera. I say “definitely yes”, if you shoot in RAW, and “most likely” if you shoot in JPEG, since there will always be images that might need some tweaking here and there to make them look better. I am not going to go through the process of post-processing an image, because this step can be a quick one second change to fix an exposure problem or an extensive process that might take hours to perfect. I normally post-process 95%+ of my images within Lightroom and only use Photoshop when I cannot fix something in Lightroom. Therefore, my workflow depends on whether an image needs further work in Photoshop or not. If you are looking for some post-processing articles and techniques, check out our post-processing tips page, where we keep all related articles we have published so far. Once you are done working on your images, the next step is to export those images for print or web publishing. Again, there are many variables to consider here. If you are printing an image, you have to find out which image formats the printing company can work with. They might ask for TIFF files with Adobe-RGB color space, or they might only accept JPEG files in sRGB color space. Another important factor is image size and how big you want to print. If you are exporting your images for the web, like publishing your photographs on your blog, Flickr, Smugmug, etc., you have to decide what image dimensions to use during the export process and pick sRGB as the color space. Another consideration is to remove EXIF data from your images, if you do not want others to see what settings you used when you took those pictures. While your machine is busy exporting images out of your photo application, it is a good time to start your backup process. If you have not been backing up your images, you should definitely come up with a backup plan as soon as possible. How good is your workflow if your hard drive crashes and you lose all of your precious photographs? I used to back up my images to a single external drive once a week before, but after losing some very important images when my hard drive crashed in the middle of the week, I now have a redundant setup with two mirrored hard drives and I back up to a different external storage device after every photo shoot. On top of this, once every month I take my external drive to an off-site location and duplicate its contents to another drive. This might sound like an overkill, but I know that my photos are safe and I won’t lose them. Don’t forget to back up your Lightroom/Apeture catalog as well. Remember, backing up just your photographs or just your catalog is not enough – you need to back up both. If you have a lot of photographs and you are looking for a good backup storage solution, there are many great products on the market today that are created specifically for photographers and videographers. My personal recommendation would be to get Synology DiskStation products, which not only offer data redundancy, but also are amazingly fast in terms of transfer speeds. 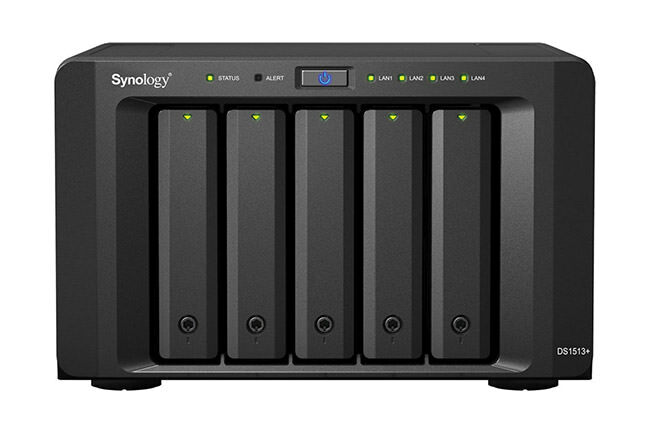 For a small to medium environment, the Synology 5-bay server would be my top pick and for larger environments with more data, a Synology 8-bay server is the way to go. The final step is to print your photographs or publish them to the web. For printing, take your exported images and upload them to the printing company’s website (if they allow you to do that) or copy/burn the files to a thumb drive/CD. If you have a printer and you want to print images yourself, you might not need to export images from Lightroom/Aperture or whatever software package you are using – most of them support printing right out of the application and give you all the tools you need for printing. 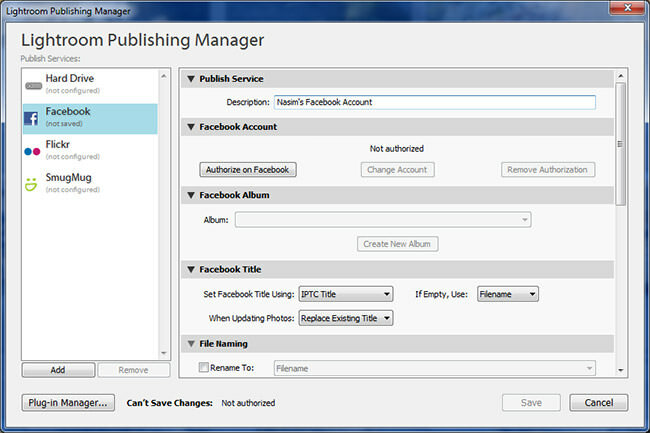 As for web publishing, again, if you use Lightroom or Aperture, they either already come with a built-in functionality to publish directly to Flickr, Smugmug, Facebook and other popular websites, or you can install plugins that will allow you to do that. If you have a website or a blog that you want to publish your photos to, you will need to use the exported images from step 1.6. If you are a photographer, the question is not whether you have a workflow or not (because you do), but how good and consistent it is. Back when I started my photography journey, my workflow was truly terrible and I suffered from all kinds of problems – from failing to locate images on my computer, to efficiently processing hundreds of images from my camera. It took me several years to come up with a workflow process that keeps me organized and efficient, and the process has gotten simpler and easier to manage, thanks to the new tools that are rolled out in new versions of Lightroom. I know for a fact that my workflow will change overtime and as other new technologies such as cloud storage become more available and affordable, I will surely add and remove some steps in my workflow. I highly recommend that you go back and review your workflow process and see what you can optimize and improve – I am sure you will find new ways to do things that will make you more organized, efficient and reliable. Lastly, please note that the above article only covers the workflow steps in general. Your real workflow will be much more detailed, with more specific steps under each section. thanks so much for this post nasim! for someone who’s interested in learning more about photojourn / events / wedding photography, your site has been very helpful! it was the main reason as to why i decided to get my first prime lens (35mm f/1.8). now that i’ve tried it i can’t think of going back. actually, i love primes and went to the point of selling my kit and other variable aperture lens. unfortunately though, i’m still struggling with obtaining my own f/2.8 as they’re too expensive. do you have other lens that you think is affrodable and at the same time, would be a good walkaround lens (besides the f2.8s)? i’m using a D90 and currently contemplating on whether i should get a 50mm f1.4G or the 85mm f1.8. 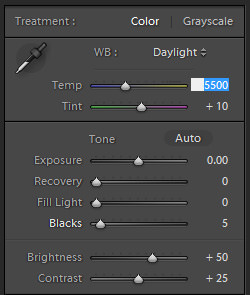 i want a medium tele that will do the job during low lights and natural lighting. Dec, if I were you, I would just use the 35mm you have instead of thinking of other lenses. It is a great lens for everyday photography and you can take lots of great pictures with it. When the right time comes, you can then buy the 85mm f/1.8D (which is a great lens, btw) or some other lens. Thanks so much for putting all the effort into creating interesting articles. I very much appreciate this one and through your tips I can cut those years into month. Recently bought a LR3 license and set up the import process as you suggested. Now this article is another great one explaining how it all connects. my question is not related to this article, rather to your Facebook page. What apps do you use what updates your facebook page with your latest blog posts? I am using a wordpress apps, but it sends updates to my personal account instead of my facebook page. Could you suggest me any solutions, please. Thanks for your help Nasim! 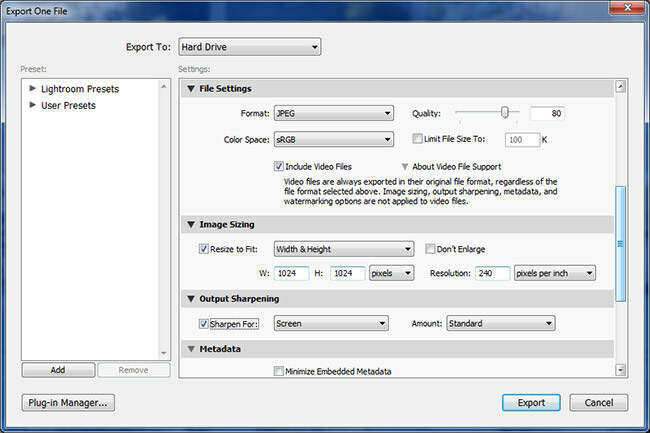 1-Bring NEF file into Nikon Capture NX2 and use their particular procedures (usually not found in Photoshop) to optimize image which also includes using Color Efex Pro applications. 2-Transfer this image to Photoshop CS3 and use their particular procedures to optimize image. 3- Bring this image into Photomatix and apply “smooth tonemapping” to produce the final image. I find that this workflow produces some great images, but I’m wondering what improvements you might see that I can experiment with. Or am Ii overdoing it? Is there a simpler way? Etc.? Your critical ( and Ii mean critical) comments will be appreciated. I was wondering if you and your wife can recommend software that you use to create slideshows with music? I have tried using Lightroom 3 but have found that even when saving in 1080p, when I play it back on my 16:9 TV it seems to drag or distort the photos so that it fully fills the top and bottom of the frame (despite the file saying it is 1920 x 1080). I just want to be able to play it back so that the photos are kept in their original aspect ratios. Kevin, to be honest, I have not tried doing videos in Lightroom yet, but I know a bunch of people who use it on the day of the wedding without problems. Mac users seem to like iPhoto for making videos more though. do you print your photos through inkjet printer? if you print by yourself, i would like to know if your prints colors are absolutely the same with what you see on the display, or there is some difference. I use the CANON 9500 MARKII with ILFORD paper, and my results are good enough (for my eye, at least) but there are always some differences in certain colors , usually brown and some kind of khaky. I’ve tryed ICC profiles and all adjustments the paper manufacturer gives, but there are no visible change. I really would like to know if it is general problem of inject printing or there is something wrong with my way of printing. Your blog has been inspiration / reference manual to amateurs like me, especially topics on AF, Metering etc. I have been using LR3 trial for a while and I almost absolutely love all its functioning… almost. My only complaint is LR3’s scant regard to sRGB colorspace. My pictures look gorgeous in LR, but the moment I export out for publishing (flickr, smugmug, facebook), LR makes little effort to smoothen out the image to downgrade the colors to sRGB. Its a shame that the web standard is still sRGB. It completely steals the pop in the images. They are almost completely washed out. Many other apps I believe allow you to work on your target colorspace. I would rather work in sRGB because WYSISYG. Have you ever had problems like these ? Does exporting sRGB from LR3 suffice for you rightaway ? Many thanks in anticipation. Awaiting more posts. After taking a photograph, I have heard that you “lose” megapixels and/or resolution when you start editing. How do you avoid/minimize this effect? How do you maximize your pixel and resolution usage for each photo? Whats is workflow vs procedures, and why is everybody using the word workflow to describe/define workflow? This is intolerantly unclear and not at all helpful. What is damn workflow? Why aren’t procedures adequate?